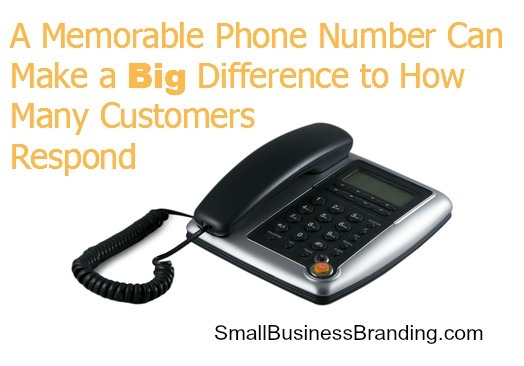 When you’re picking a telephone number to promote your small business, getting a memorable phone number, rather than any string of digits, could make a significant difference to how many of your customers, or potential customers, respond. The best example of this is with taxis. If you’re anything like me, you’re more likely to remember the taxi company’s number more than the name of the taxi company. People will share a memorable telephone number, then remember which taxi company the number relates to. This sort of “telephone number to company” association can work for other companies as well, particularly if you rely on word of mouth (e.g. plumbers, glazers, computer servicing). But there are other ways you can make a telephone number more memorable and link it with your brand. They’re called “Alpha numbers”. This is more popular in the US, but can still work in the UK as well. Alpha numbers aren’t any different to normal telephone numbers in how they work, but all you’re doing is associating the digits in the telephone number to the letters shown on a phone’s keypad. For example: 0845 468 MINT (0845 468 6468). Having a telephone number with repeating digits or repeating your company name within it (an Alpha number) will add another dimension to your adverts. You’ll see this all the time in TV advertising. People with short attention spans, or simply walking passed your advert in the street are more likely to take in your telephone number and respond if it’s made up of repeated digits, or sequences of digits. But do people really remember telephone numbers anymore? This is a common question. Is there really value for your business in getting a memorable number? Surely with mobile phones these days, people don’t remember numbers, they’re just saved in recent call lists on the phone? That may well be the case, but in the same way as a memorable number helps your adverts stand out, so will that memorable number when it appears in people’s call lists. Even with the power of Google at everyone’s finger tips (literally), word of mouth seems to be more important than ever. People still want to deal with people, so if you can make it easy for your customers to share your contact details using a memorable telephone number, you’ll then be sure of getting those quality leads. There are a number of telephone number vendors in the UK and it is important to make sure you deal with a reputable company that is classified as a Network Operator by both Ofcom and PhonepayPlus. Look for a company that has a simple to understand pricing structure, an easy to use number management system and offers different payment types for your memorable number. A particularly good example of an established, regulated telephone number company is TTNC who offer numbers for all UK area codes and 40 countries internationally, including USA toll-free numbers. Numbers can be set up to forward to your mobile or landline in a matter of minutes. You then have complete control of your numbers through their specially developed control panel. For all the talk about the best ways to shift traditional sales models and techniques to the online world, there’s one important aspect you always need to keep in mind. In contrast to a traditional brick and mortar store, an online customer can’t really look at the product you’re selling – they can see pictures of it, but they can’t actually pick it up in their hands and look at it directly. This is why it’s absolutely essential that you effectively tell them about what you’re selling. 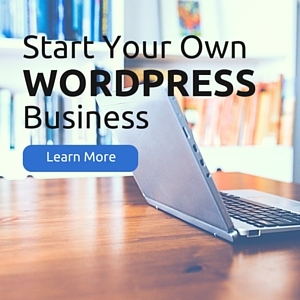 You accomplish this by writing solid product descriptions for every item you sell on your website. Here are some tips for writing the most effective product descriptions possible. Your Product Must Be Good For the Buyer. Don’t waste your prospect’s attention span talking about why your product is so good, or why it’s better than anything else on the marketplace. Isn’t this exactly the same as what your competitors would say about their own products? Instead, explain to your prospect why the product or service you’re selling is the best solution for them. A potential customer isn’t looking for the product that’s the best in an abstract sense; they’re interested in buying what’s going to be best for their individual situation. You Need to Identify Your Customers. Of course, in order to explain why your product is the best for a particular person, you need to understand more about that person. This includes not only identifying your ideal customer in terms of their general demographics, but also making sure to measure everything you can about the actual individuals who come to your product page. There are various ways to accomplish this, including Google Analytics, and customer signup where you ask them for key bits of information about themselves. Chances are you take SEO considerations into account when you write your blog posts and other information on your business website (and if you don’t then you probably should be). After all, if a prospect never finds your site, there’s no chance they’ll ever become a customer. But scale back your SEO practices when it comes to your product descriptions. You want your descriptions to do the best job possible in connecting with a prospect, even if the text of the description doesn’t boost your SEO ranking. Quantify and Evaluate Your Product Descriptions. 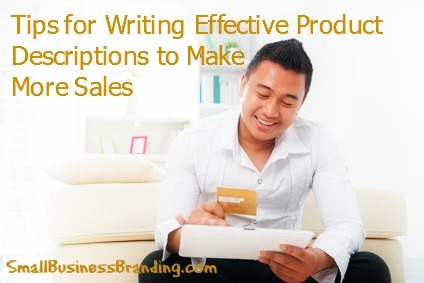 How do you know if your written product descriptions are doing the job? You can’t necessarily assume that they’re as good as possible just by the fact that you’re actually making sales. After all, maybe your sales figures would be even higher if your descriptions were better. The best way to evaluate the effectiveness of your product descriptions is to quantify them. Track your sales figures (both in terms of absolute numbers of sales as well as your conversion percentages), then tweak your product descriptions to see what types of descriptions lead to more sales. Finally, it’s important to understand that it’s not just the text of the product description that matters – how you present it to a prospect matters as well. Would a different font or font size lead to more sales? Should the text be placed in a different position on your product page? What about the colors you’re using on other parts of that product page? Again, you can only be confident that you’re providing the most effective sales pitch to your prospects when you measure your sales figures and test against other options. Many businesses would love to sell products online, but for one reason or another, do not wish to use eBay. 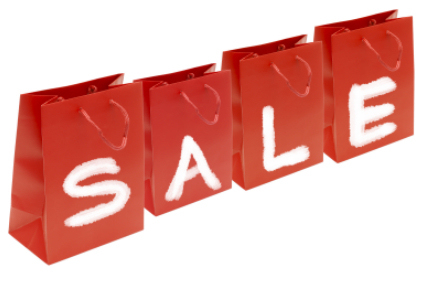 Fortunately, there are many alternatives out there that can ensure rapid sales and are easy to use. The diversity of function and variety of options of these sites far exceed eBay, and they allow you to sell products in ways that are much cheaper than eBay, and can ensure more rapid payments than the auction giant. Craigslist – This popular site is a preferred way to get your products noticed by the general population, especially if you live in an internet-savvy community. It’s free to post classifieds on here, and you’ll be able to deal directly with customers, which can be a real plus in some industries. Craigslist is well-known by Internet shoppers as a site that allows them to find just about everything, so even if your products have a very specific market, chances are your customers will be looking for them on this site. 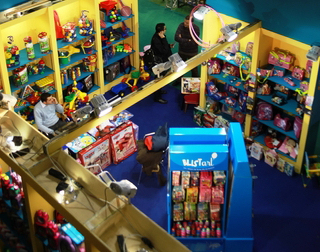 Amazon – Traditionally identified with books, Amazon actually offers a wide variety of products. Of course, most people visit this site in order to purchase media products, so keep that in mind when considering your options. Unlike eBay, which forces you to deal with PayPal, Amazon allows sales to instantly be deposited into your bank account, which means that you won’t have to wait days to receive your money and ship your product out. Facebook – Chances are, you already have a Facebook page for your business. In the Facebook marketplace, you can list items for sale, and the categories cover just about everything. Since Facebook is one of the largest worldwide social networking sites, you have the ability to reach people all over the world, making this a great website to advertise niche products, for example, or simply to be able to get your name out to large numbers of trusted Facebook users. 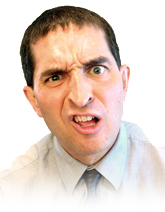 iOffer.com – If you enjoy the auction route for sales, this site offers auctions with plenty of web traffic. One huge benefit here is that you do not have to pay a fee to list items for auction; you only give a small portion of your profit to the site if your item sells. You do not have to set a minimum price, if you do not wish, and an interesting function of iOffer is that you can even list products for barter, which can be helpful if you are trying to expand your product line and deal with like-minded business owners. 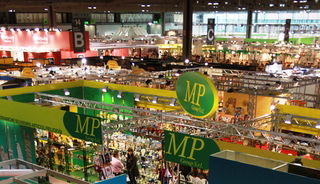 Why should you promote your business at exhibitions and fairs? As a small business you understand the need for running tight budgets and keeping marketing costs under control. At first thought, exhibitions and fairs may seem an extravagant activity, but executed well, with the right preparation and follow up, they can provide a great return on investment and help to take your business to the next level. So, what can you hope to get out of an exhibition or fair? Lead generation: Perhaps the most obvious of outcomes, exhibitions are a great way of sourcing new leads for businesses, which, once followed up after the show, will hopefully convert into sales and ultimately profits. New sales: Depending on the type of exhibition or trade show and the service/products that you offer, your goal may be to make sales at the actual exhibitions or fairs themselves. If you have the right product and approach, you can capitalise on the fact that the venue is filled with your core market. Generate brand awareness: Full of your potential customers, exhibitions give you the opportunity to influence as many people as possible and build your brand with your target market. Launch new product lines: Fairs and exhibitions are perfect for showcasing new product lines or services and allow you to sell to new customers as well as tapping into your existing customer base by upselling or cross selling. Access to the media: Journalists are always looking for new industry trends and use exhibitions and fairs as a key research tool. By preparing a press information pack to give to the media (including a press release, photos, product or service information and contacts) you will give yourself a greater chance of some free publicity. Tell the world! : Use your prospect and contacts list to notify everyone that you know that you will be attending the exhibition and where they will be able to find you inside the venue. Using email and social networking are cheap and easy ways of doing this. The design of your exhibition stand: The design of your exhibition stand needs to ensure that you get noticed for all the right reasons. It must convey your brand and product/service clearly and concisely and your message should be visible from across the hall. Also make sure that it appeals to your target audience by using eye-catching graphics and text. Lighting is also an important but sometimes forgotten element. At a basic level, the lighting should be sufficient enough for visitors to read your displays but on a deeper level it can be used to create an atmosphere or highlight certain parts of your stand. Offer an ‘experience’: Once you’ve enticed people onto your stand, it is a good idea to offer visitors a real hands-on approach so that they can see, handle, interact with and experience your product or service for themselves. Your people are your brand: Ensure that your staff running the exhibition stand know why they are there, what the overall goals are and how to deal with potential questions. They can be a key differentiator between you and your competitors and so body language and behavior on the stand are also critical, so make sure there are lots of eye contact and smiles and no mobile phones, eating or crossed arms. Use your time well: The old adage ‘time is money’ is never truer than at exhibitions or fairs. They generally only last for a day or two and in order to achieve as many leads or sales as possible you simply don’t have time for a lengthy chat with a prospect or customer. Make sure you get all the details you need from each visitor and then politely move on. Follow up promptly: After the exhibition is over it is essential to follow up on all the leads you have gathered as soon as possible. This will keep you at the forefront of your prospects/customers’ minds and show that you are keen to do business with them. If you’d like to find out more about exhibition banner stands you may do so here. They supply a wide range of portable and fixed banner stands to help guarantee a successful exhibition experience as well as buying guides to help you choose the items that are right for you.